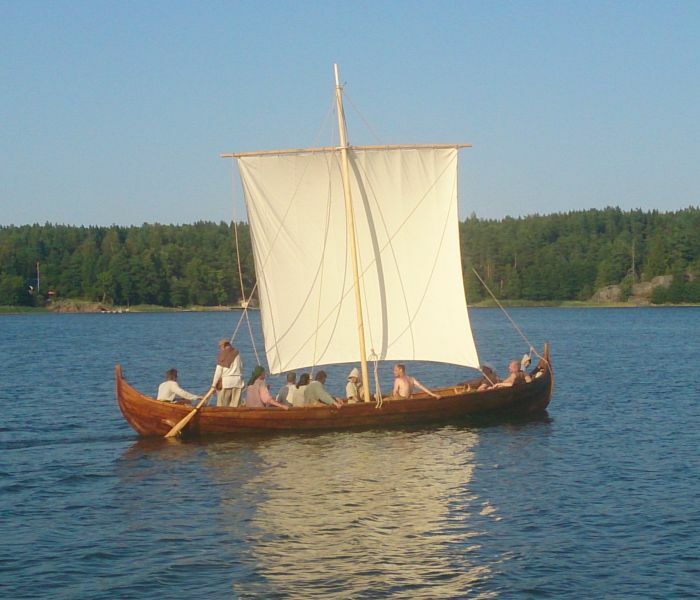 During the Viking Market the viking ship “Borge Swyn” will be shown in the Kvarnbo harbour. Welcome! Fornföreningen Fibula started in spring 2012 a project (Leader) to build a Viking Ship. On June 14 2014 we launched it. It is 10 meter (32 ft) long and will use a 20 m2 (215 ft2) square sail. An important purpose with the project is to aquire and develope the ancient knowledge. Follow the project (in Swedish) on Facebook.